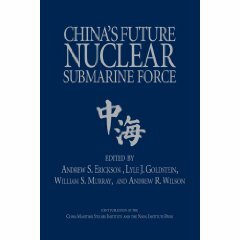 Andrew S. Erickson and Michael S. Chase, “Information Technology and China’s Naval Modernization,” Joint Force Quarterly, Number 50 (3rd quarter 2008), pp. 24-30. 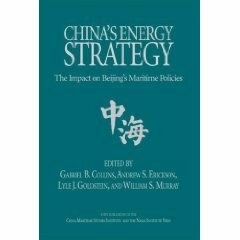 Required reading for the Naval War College Strategy and Policy Department’s Intermediate Leadership Course. In recent years, the modernization of the People’s Liberation Army Navy (PLAN) has become a high priority for senior Chinese Communist Party (CCP) leaders and high-ranking military officers. This growing urgency about modernization is focused largely, but by no means exclusively, on a possible conflict over Taiwan. At the same time, the navy must be prepared for a wider range of missions, including the protection of maritime resources and energy security issues. 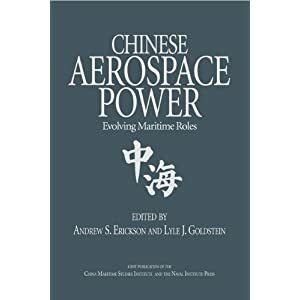 These missions drive PLAN requirements, not only for the new platforms China is putting into service with the navy, but also for command, control, communications, computers, intelligence, surveillance, and reconnaissance (C4ISR) capabilities. 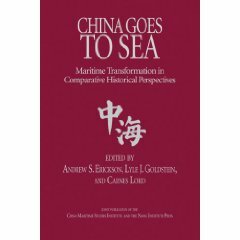 Within this context, enhancing PLAN information technology and communications capabilities is seen as critical to China’s overall naval modernization program. Reaching this goal hinges on narrowing the gap between the PLAN and the world’s most advanced navies through the development, acquisition, and integration of advanced information technology. This emphasis on “informatization” derives from the expectation that the People’s Liberation Army (PLA) must prepare for local wars under informatized conditions. This guidance applies with particular force to the modernization of the PLAN. Clearly, the PLAN is serious about the hardware aspects of naval informatization, but at least three broader questions remain unanswered. The first question is whether there is anything in the Chinese concept of informatization that is radically different from Western characterizations of the role of information in modern warfare. The second broad question centers on how close the Chinese are to achieving the so-called informatized force. Perhaps most interesting in the Chinese writings examined are the ongoing debates arising from increased informatization.